What types of tests are most often used in schools? The most common tests administered in schools are norm-referenced, group-administered achievement tests. These have been very widely used for many decades. The results are used to evaluate the achievement of children the skills they need to learn and the effectiveness of schools is in teaching these skills. Test results are also useful in helping teachers and parents learn what kinds of strengths and weaknesses a child may have in different subject areas. These tests begin with a close collaboration between curriculum experts and measurement experts from major universities, school districts, and test publishers. These experts identify major academic skills and bodies of knowledge that children are expected to know and then they create appropriate test questions to assess the students skills and knowledge. The questions are then administered to a sample of thousands of children throughout the country that represent the national student population. The careful standardization of all materials and administration to well-defined comparison groups make it possible for test users to compare their results to those of all individuals, districts, or regions in the country. Are all standardized tests norm-referenced? There are also fair, reliable, and valid standardized tests that are not norm-referenced. For example, criterion-referenced tests go through the same initial process of collaboration between curriculum and measurement experts to identify necessary skills and knowledge and to develop test questions. Then the curriculum experts define what or how many questions should be answered correctly to demonstrate grade-level mastery. This is much like an individual teachers classroom test, but vastly enhanced through the input of widely recognized curriculum experts, standardization of the tests presentation, and verification of its stability, fairness, and accuracy so that results can be compared from one administration to another. What about proposed new performance assessments? Recently there have been efforts to create different tools for documenting a child's progress in school. The most common are called performance and portfolio assessments. These assessments involve observing the actual activity or behavior that is learned for example, giving a speech or doing a science experiment in the case of a performance assessment or assembling a record of the actual day-to-day class work a child does in a portfolio assessment. These approaches can communicate certain aspects of learning to teachers and parents. These techniques are not generally considered tests, however, since most lack a recognized basis for comparing results among children, classrooms, schools, and so on. Even if a basis of comparison were developed, it would be necessary to evaluate these tools for reliability, fairness, and validity before they could be adopted for the broader purposes that standardized tests serve. How do schools use individualized tests? Schools use many different kinds of tests to help identify the individual factors that may stand in the way of a child's successful learning. Intelligence (or mental abilities) and achievement tests are among the most commonly used tests. Their results can show whether specific learning disabilities underlie school difficulties, rule out cognitive problems in cases where emotional disturbance is suspected, and identify the underachiever who may benefit from counseling or tutoring. There are also many other kinds of tests that are not as well known yet are widely used. Developmental tests are used to screen children when they begin school so that their teachers will have a head start in understanding their special strengths and weaknesses. Speech and language specialists use tests of articulation and word usage to design and evaluate treatment programs for children with speech problems. Counselors and school psychologists use behavioral inventories to identify problems and help teachers develop proper behavior management techniques in classrooms. 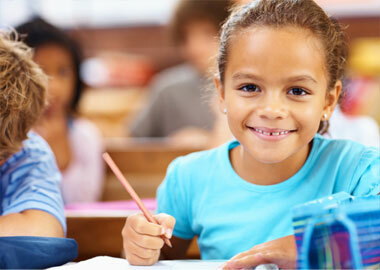 Ability tests are used to identify gifted and talented students who would benefit from an enriched learning program. How can tests best help my child? As with any tool, tests should be used with care and only when they suit the purpose. Individualized tests are administered when there is a need. Some signs of this need are continuing academic difficulty when parents and teachers efforts haven't worked; signs of emotional distress; and behavior problems beyond what is usual at the child's age. If problems like this are of concern, you should find a professional who can help you decide whether testing is worthwhile and determine which tests may produce the most helpful results. School psychologists and counselors know about these kinds of problems. Outside of schools, there are psychologists or counselors and child psychiatrists. Pediatricians often make referrals to appropriate testing specialists. Sometimes a screening test may be given more widely for example, to all children entering kindergarten. Screening tests are specially constructed for such broad applications. What is more important, the recommendations provided by screening test results are limited they are often just a referral for more thorough testing if signs of problems do appear. The purpose of a screening test is to catch potential problems early. It is usually a good idea to have a screening test done if a school or medical care provider recommends it. How do intelligence or mental abilities tests help students? A child may do poorly in school for reasons unknown to a teacher or a school psychologist. An intelligence test can uncover valuable information about cognitive abilities that assist the teacher in helping the child develop his or her full potential. For example, intelligence tests in conjunction with other tests may reveal that a child may be having difficulty learning in school because of emotional problems or some undiagnosed physical disability rather than limited intelligence. Once the causes are identified, the child can receive appropriate assistance from medical, educational, or mental health specialists. Do IQ tests discriminate against minorities? Independent researchers have studied modern IQ tests and found that test results are valid and reliable for the major population groups in the U.S. When used properly with other instruments, these tests can help educators create the best learning situation for a child who is having difficult learning. Why is there so much controversy about IQ tests? One kind of controversy arises when some people draw broad conclusions about population groups or the origins of mental ability based on results from intelligence tests. Intelligence tests are not designed to support such conclusions. These tests used within their own limits have been and continue to be very useful to educators in assessing the capacities of students to develop and learn. Another controversy stems from concern about whether there is more than one kind of intelligence. Most measurement experts would agree that there are indeed more kinds of intelligence than are measured by conventional intelligence tests (or even can be measured by a single test). They would also agree that the kind of intelligence tested on modern IQ tests is nevertheless an important characteristic that has a proven value and a continuing place in helping schools to help children learn.